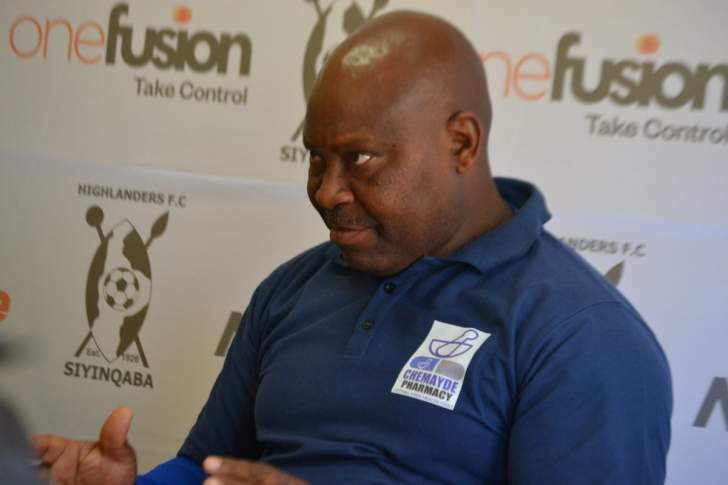 HIGHLANDERS coach Madinda Ndlovu is set to retire from coaching at the end of his three-year contract with the Bulawayo giants and will not be abandoning the club before the expiry of that deal. The legendary Ndlovu made the revelations yesterday in which he also ruled out the possibility of moving to Mhondoro-based Ngezi Platinum who are said to be interested in his services. "When I came back home I had already planned my retirement but the club approached me to build the team as it felt the institution was now losing its culture and identity and we agreed on a three-year project. I vowed to give my full commitment to the project until its fruition and I am convinced it will succeed," said Ndlovu. "I have no intention of letting go a project that I started but if you, the supporters, tell me that you no longer want me I will not force issues but I will be on my way out as I'm already on my way to retirement but I want to reiterate that our supporters are a very important factor in all this. They have been following us everywhere and we are grateful. Its not fair for us to take politics into the project, if we fall that is when we need them the most and I can foresee this project making it big in future," said the former national team winger. Talking about the 4-0 annihilation at the hands of Chapungu United at Ascot Stadium, Ndlovu said it was unfortunate that they failed to convert a first half penalty which was the third on the trot after missing against Harare City and Shabanie Mine. "It's a worry that such talented players miss penalties. Yesterday (Thursday) we missed and the boys' heads went down and sadly we went on to lose the game. We got a number of chances particularly Tinashe Makanda who got three chances but missed, he played well but a majority of the boys let him down. He can't do everything alone," said Ndlovu. Its going to be a miserable weekend for the Highlanders supporters who would have wanted to vent their frustrations on their next opponents after the horror show. There are no Premier Soccer League matches as a result of the Chibuku Super Cup semis which are all in Harare and the long weekend of inactivity will be unbearable for the humiliated supporters who have now witnessed their team go for five competitive games without a win. After a 2-1 midweek win over Yadah last month, Amahlolanyama were booted out of the Chibuku Super Cup by Harare City, drew with Caps United and Shabanie Mine in two consecutive games, lost to a then relegation fighting Bulawayo City before the 0-4 annihilation at the hands of Chapungu United on Thursday. The Gweru trip was the last out of town match of the season with the next encounters all set for Barbourfields Stadium. They are expected to take on Harare City in their next match before a derby against Twitter masters Bulawayo Chiefs and they wrap up the season with a tie against FC Platinum. With nine points to play for, Highlanders can end the season on 53 points, if they refuse to be bullied at home in the remaining games. "Our target now is to finish above the position which the club ended last season which will be an improvement and achievement considering that most of the players were not playing last season," said Ndlovu.